Homes in Midway Woods are mainly Cape Cod style, with brick construction and other classic details. Built between 1950 and 1953, Midway Woods homes are largely renovated and some have added expansions. A few new constructions have begun to appear, but only in certain areas of the neighborhood. The landscape is quaint, with long, winding roads and tree-lined streets. 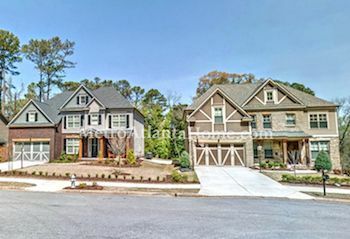 Located between Memorial Drive, Columbia Drive, and Candler Road, Midway Woods is a 700-home neighborhood located in Decatur, GA. Dearborn Park lies within the neighborhood’s borders and has seven acres of greenspace, sports courts and fields, picnic pavilions, a playground, and several boardwalks & walking trails. 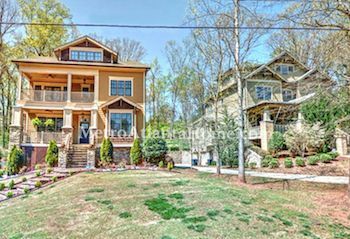 Midway Woods, like many other thriving Decatur neighborhoods, has an active neighborhood association which aims to keep neighbors connected and educated, as well as organize neighborhood upkeep and neighborhood events. Monthly meetings are held.